TOKYO — Profit at Mazda Motor Corp. inched ahead 1.9 percent in the latest quarter as windfall foreign exchange rate gains offset rising costs and lackluster model mix and sales. Operating profit increased to 36.6 billion yen ($325.2 million) in the Japanese carmaker’s fiscal second quarter ended Sept. 30, the company said in a statement Thursday. That compared with operating profit of 35.9 billion yen ($319.0 million) a year earlier. But net income tumbled 23 percent to 26.7 billion yen ($237.3 million) for the three-month period. Net income was undercut by a 6.4 billion yen ($56.9 million) charge to cover a class action lawsuit settlement with U.S. customers whose vehicles were equipped with possibly defective Takata airbag inflators. Worldwide revenue climbed 11 percent to 854.5 billion yen ($7.6 billion), as global sales advanced 1.5 percent to 406,000 vehicles in the quarter. Revenue and operating profit was buoyed by favorable exchange rates, as the Japanese yen weakened against other currencies, including the U.S. dollar and euro. Foreign exchange gains added 15.6 billion yen ($138.6 million) to Mazda’s operating profit in the fiscal second quarter. That was more than enough to offset a 7.0 billion yen ($62.2 million) decline from deteriorating model mix as Mazda struggled with its car-heavy lineup in a market rushing to crossovers and light trucks. Mazda cited increased marketing to move sedans in the U.S., where sales slumped 2.4 percent through October and took an 8.4 percent tumble last month. Globally, crossovers account for only 39 percent of Mazda’s vehicle volume. 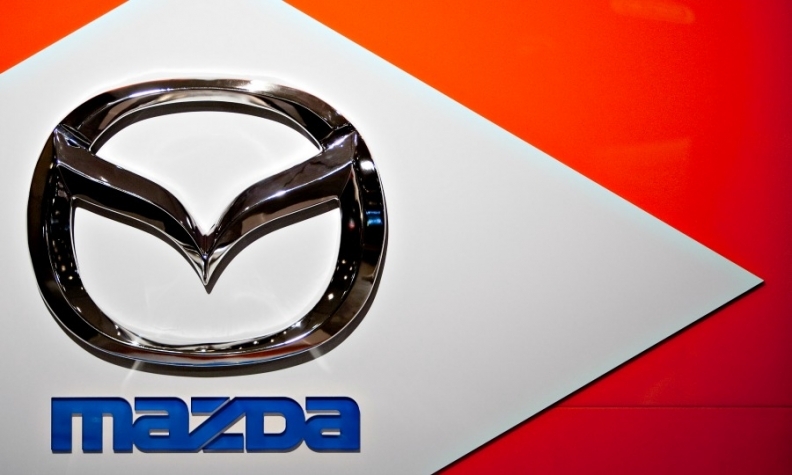 That’s up from just 12 percent in 2012, and Mazda said it will keep expanding that share next year. To get more crossovers to the U.S., Mazda agreed with Toyota in August to jointly build a $1.6 billion assembly plant in the United States. Slated to open in 2021, it will have production capacity of 300,000 vehicles a year, with half going toward the Toyota Corolla and half being dedicated to Mazda for crossovers and SUVs. Executive Vice President Akira Marumoto said the partners aim to decide on a location for the new factory early next year. Increasing outlays for r&d lopped off about 700 million yen ($6.2 million) from operating profit. Mazda has been booking bigger development costs as it invests in a next-generation powertrain lineup, dubbed Skyactiv-X, to improve performance and fuel economy. North American regional operating profit surged 87 percent to 5.6 billion yen ($49.8 million) in the latest quarter. Retail sales in Mazda’s biggest market added 1,000 units to 112,000 vehicles. Results in Europe rebounded to a regional operating profit of 2.2 billion yen ($19.6 million), compared with a loss of 100 million yen ($889,000) a year earlier. European retail sales were flat at 68,000 vehicles in the period. Mazda kept its earnings outlook unchanged for the current fiscal year ending March 31, 2018. The automaker predicts global operating income will increase 19 percent to 150.0 billion yen ($1.33 billion), in the current 12-month period. Net income is forecast to rise 7 percent to 100.0 billion yen ($888.7 million) for the fiscal year. Revenue is seen expanding 4 percent to 3.35 trillion yen ($29.77 billion), as global retail sales advance 3 percent to 1.6 million vehicles. Mazda trimmed its sales outlook for North America, citing a tougher environment in the United States. Sales in North America are now seen rising to 3 percent to 443,000 vehicles this fiscal year. It had earlier predicted a 6 percent increase to 454,000 vehicles. Better than expected sales in China are forecast to offset the lower U.S. sales.